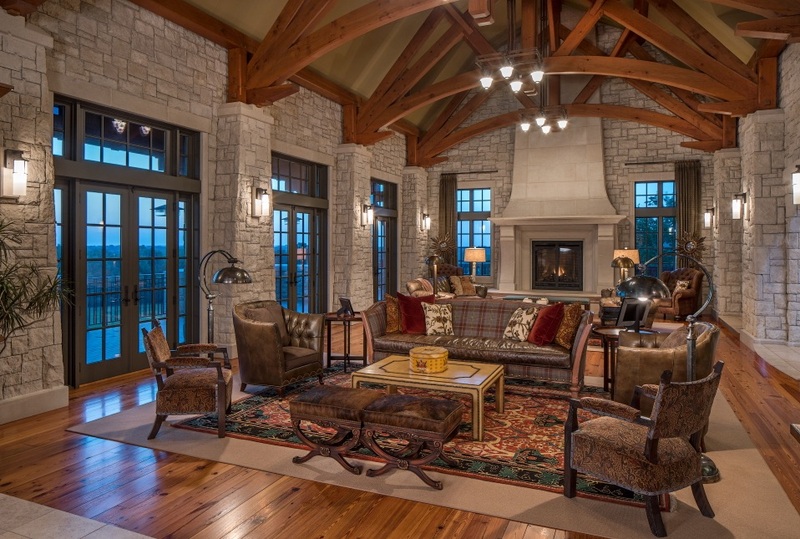 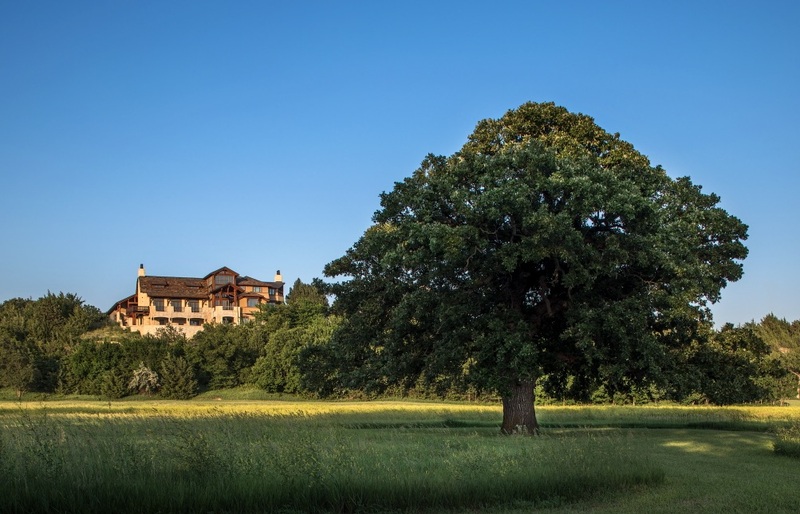 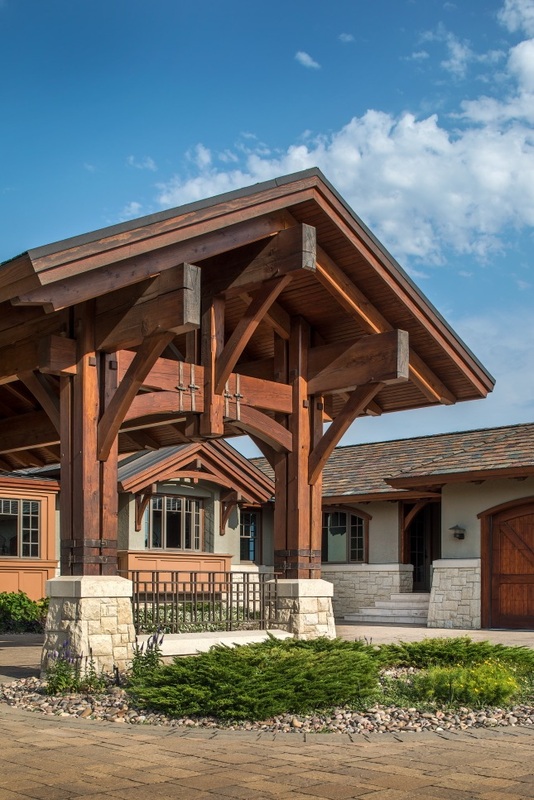 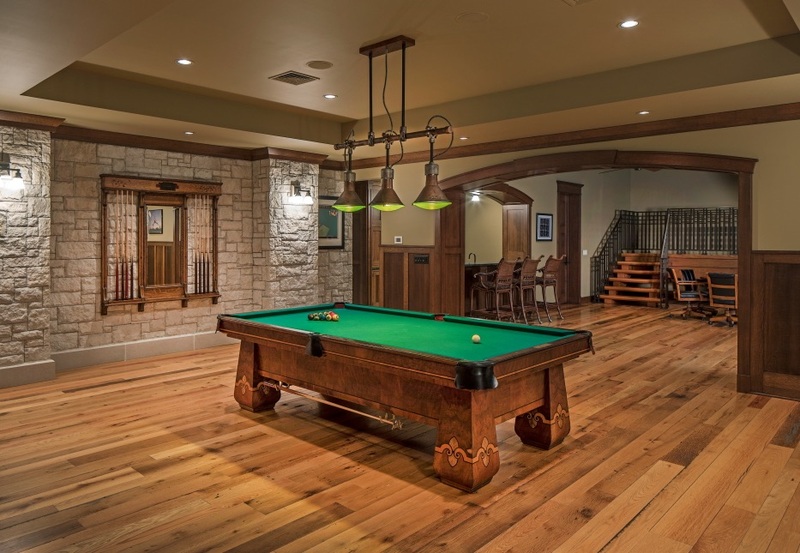 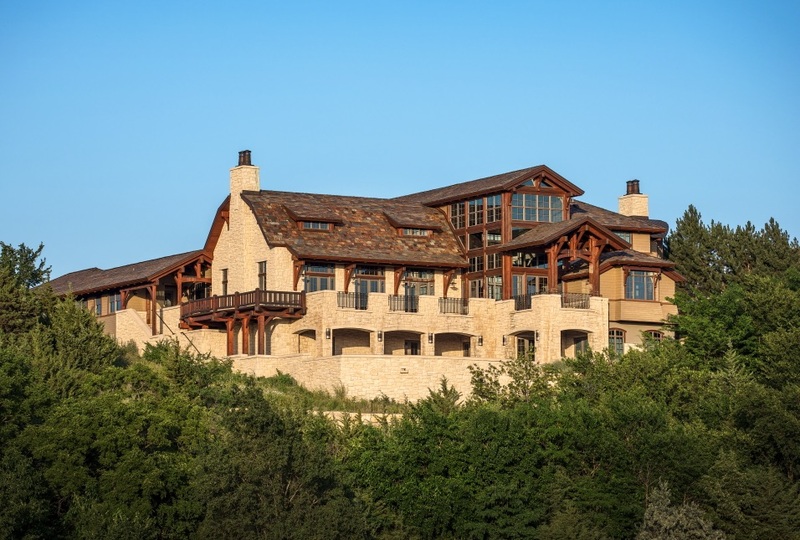 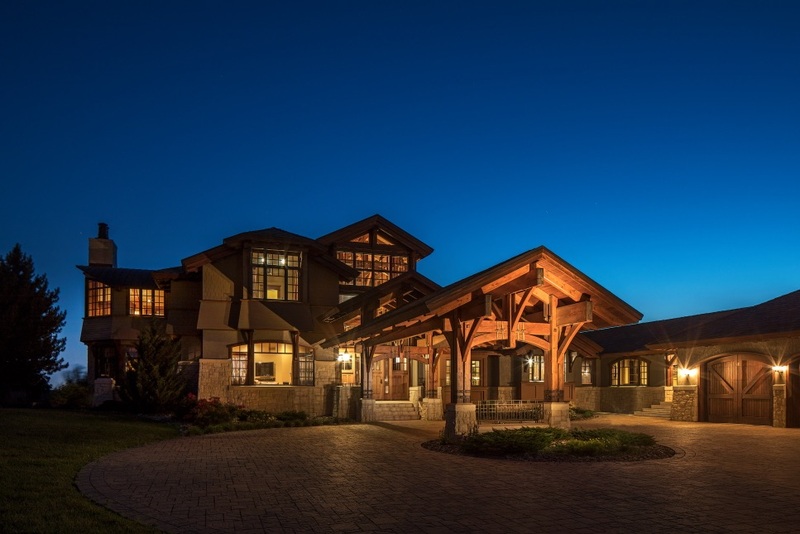 Sited on a bluff overlooking a wildlife preserve, this large and handsome Midwestern home features an impressive exposed timber frame and native Kansas limestone. 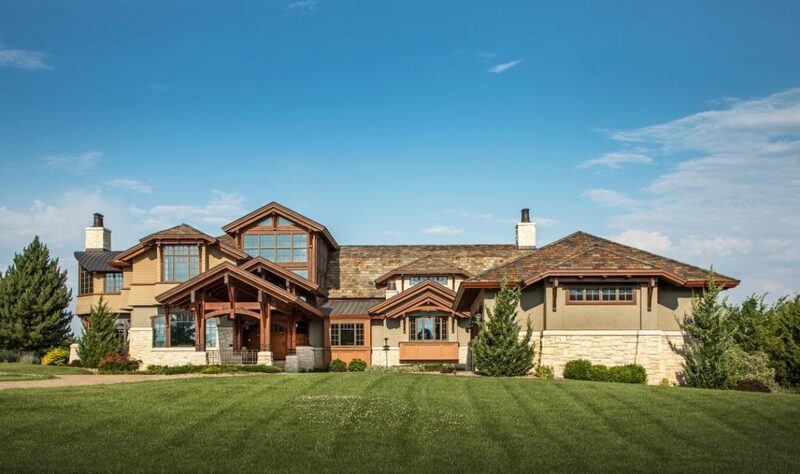 The design of of the house is based upon a back-story about an old stone barn that appears to have been standing on a bluff overlooking the Smoky Hill River Valley for more than a century. 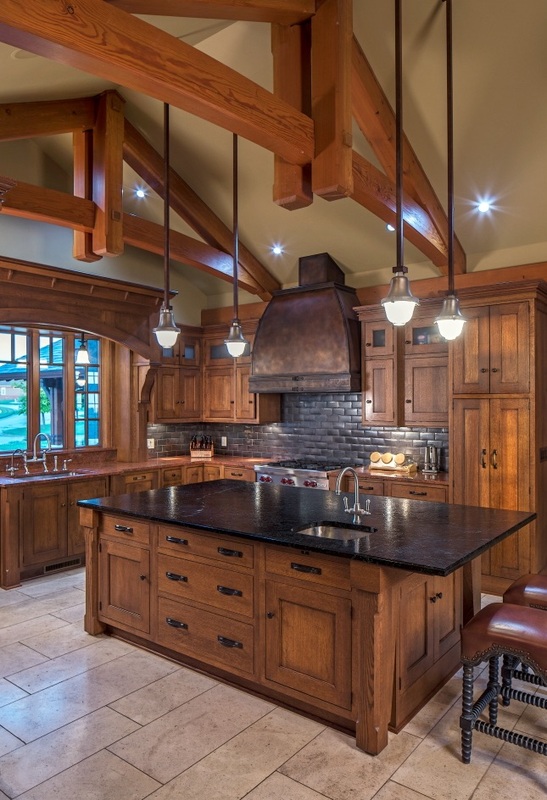 The roof is supported by an exposed structural timber-frame bringing a rather rustic and natural feeling to the home’s interior. 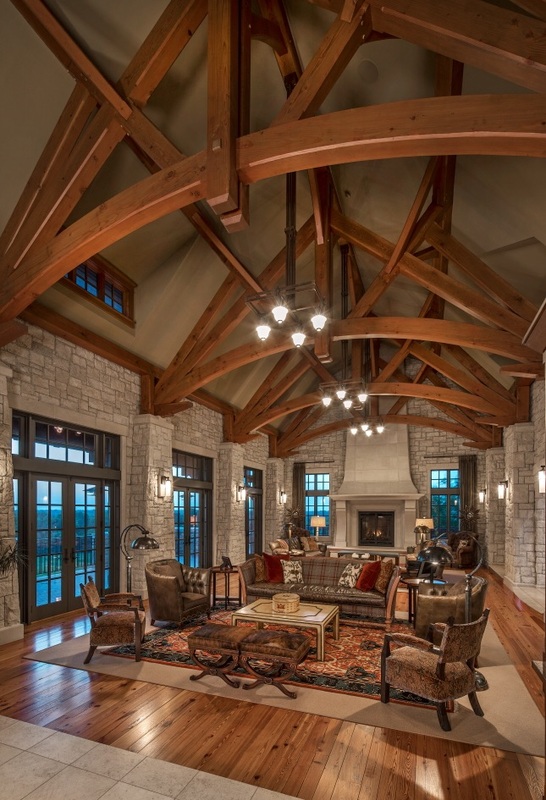 The main living space is highlighted with roof-top dormers that allow sunlight to filter down through the great room's wooden truss rafters. 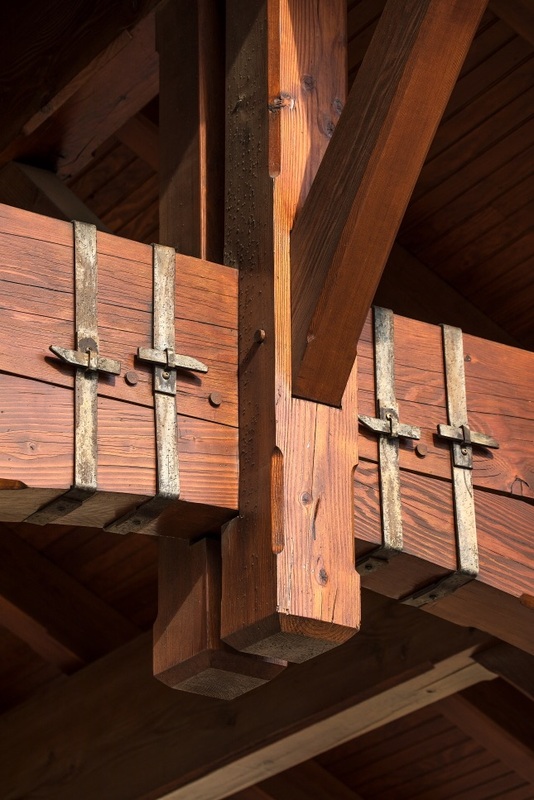 The primary axis of the old stone barn is then countered in plan by an east/west transept that organizes a secondary compositional building form referred to as the “Grand Gallery”. 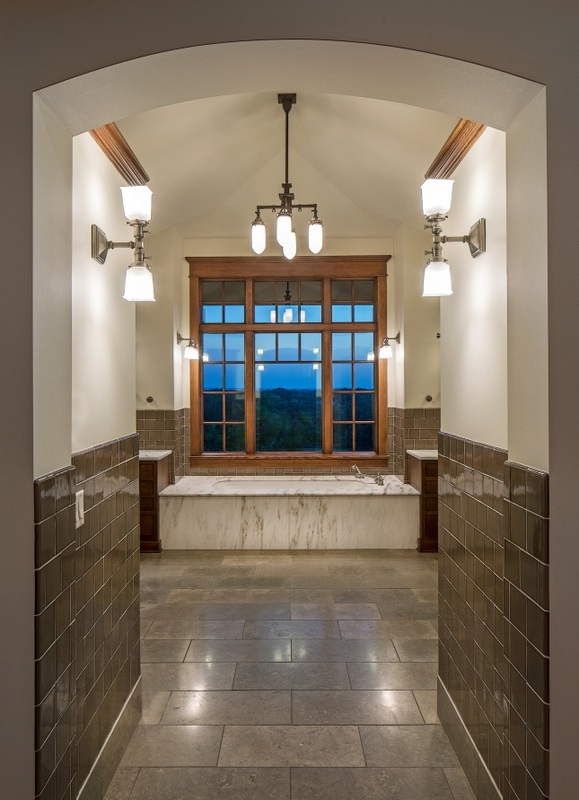 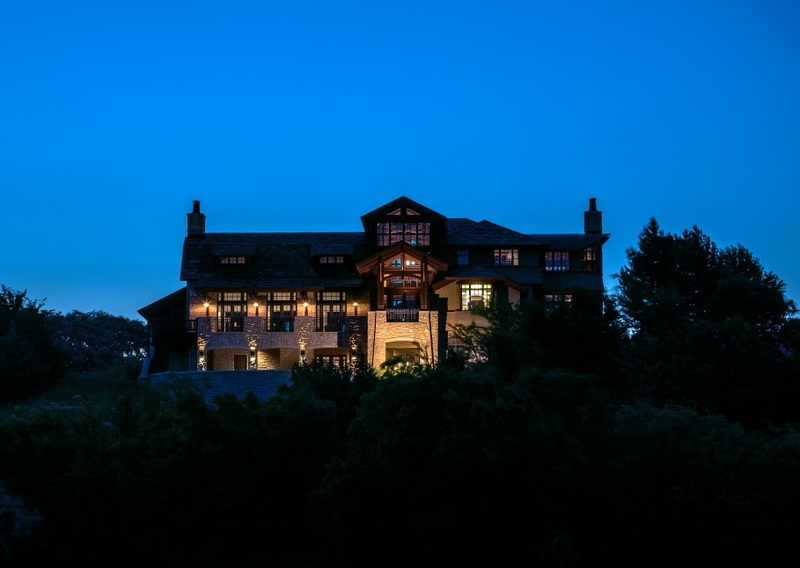 This simply gabled architectural element houses a dramatically proportioned entry hall that gestures west toward sweeping views of the wildlife preserve and city lights beyond. 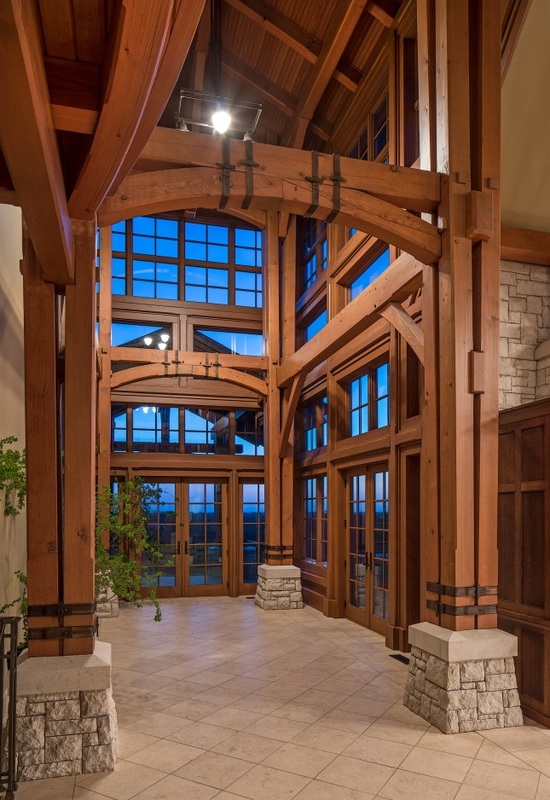 The Grand Gallery is constructed of exposed timber columns and glass, and appears to have been added to the old stone barn many years later. 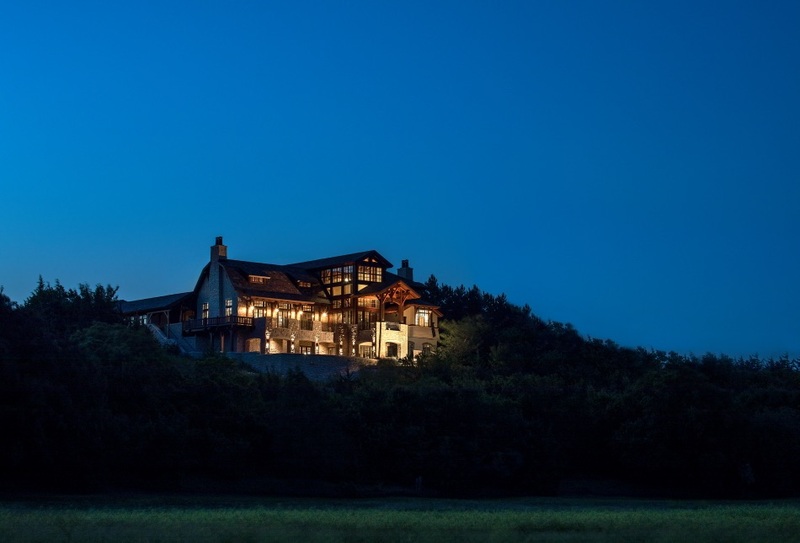 This glass and timber gallery is also dramatically lit from the interior, so during evening hours it glows from the hilltop like a luminous lantern. 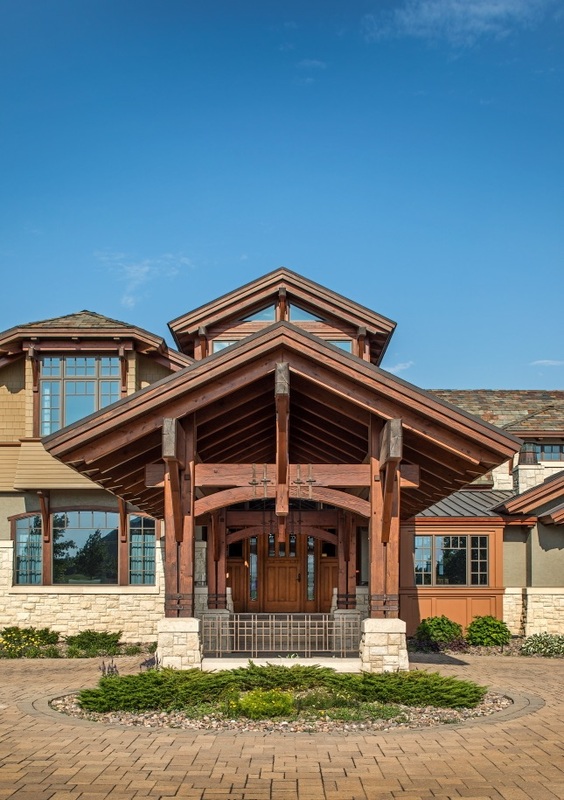 On the street/entry side of the house there is a large circular drive graced by a porté cochere that leads directly to the front entry porch and the Grand Gallery beyond. 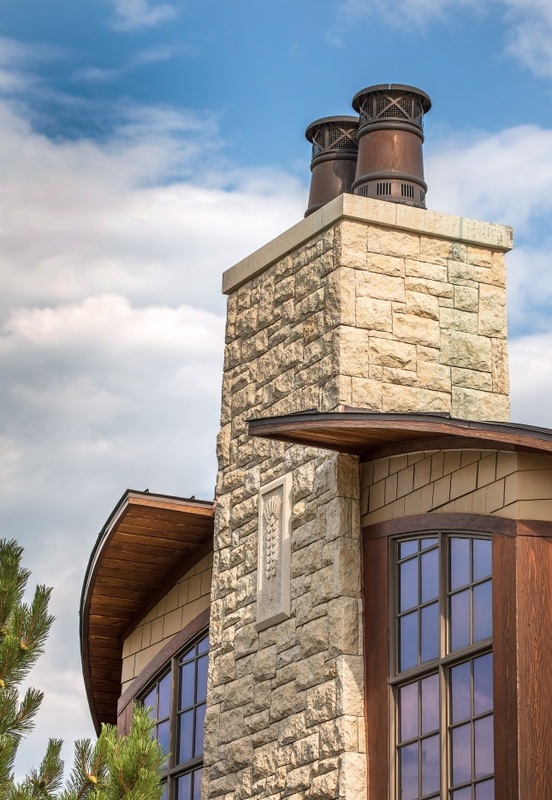 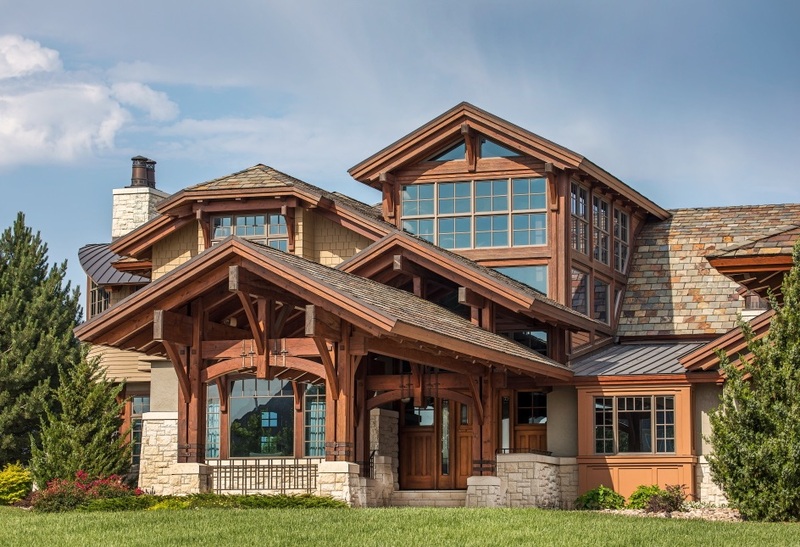 Wood windows, cedar-like shake shingles, indigenous Kansas limestone, and a real slate roof with exposed rafter tails, all bring an American Craftsman Style aesthetic to the home’s exterior detailing. 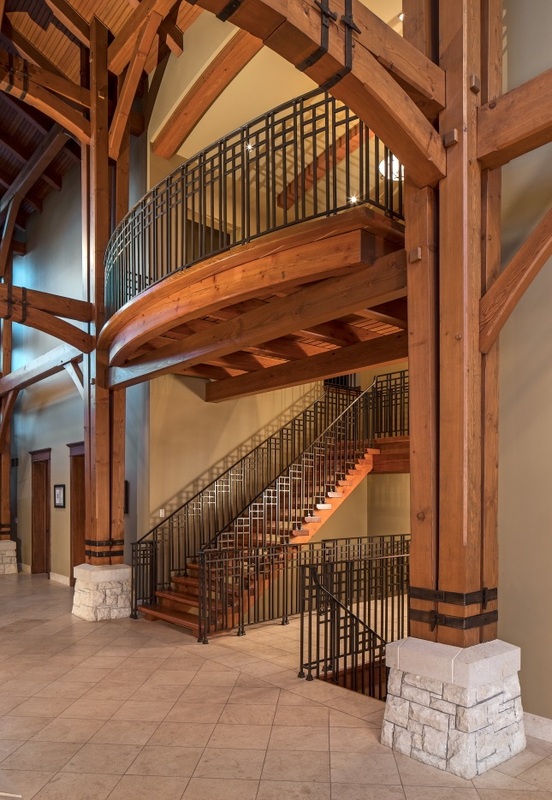 The craftsman interior is enhanced by a dramatic all-wood grand stair located on the primary north/south axis of the home. 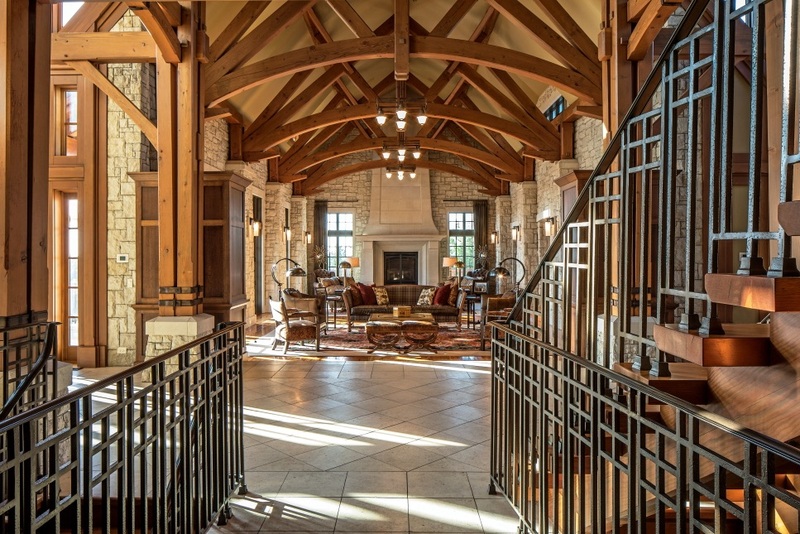 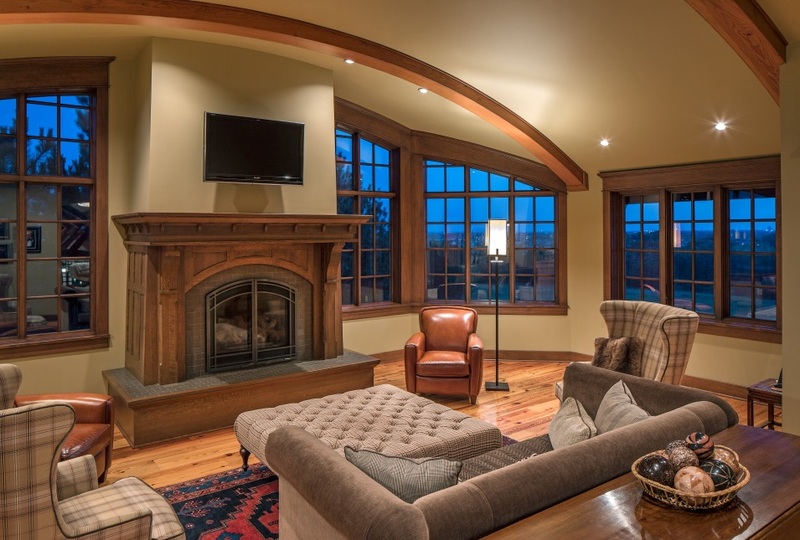 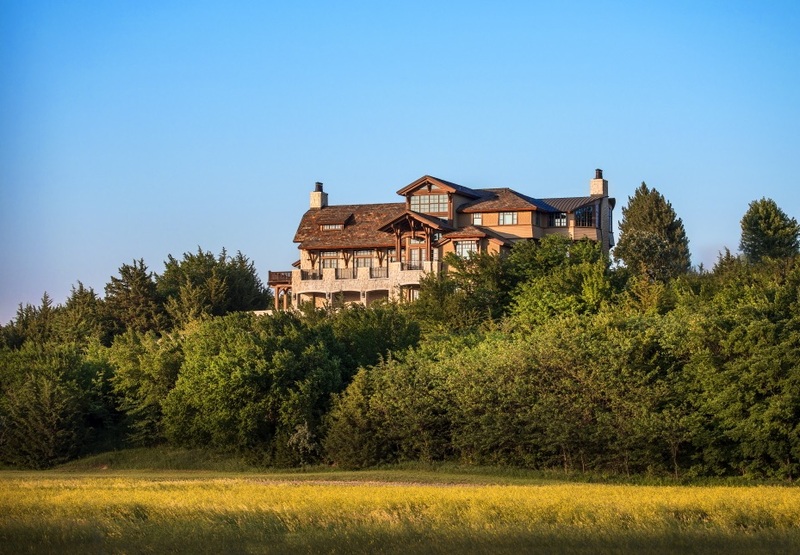 Custom prairie-style stained glass windows, hand-forged wrought iron fixturing, hardwood floors, exposed timber framing, and other natural materials lend a sense of appropriateness and warmth to the rich interior of this prairie inspired home. 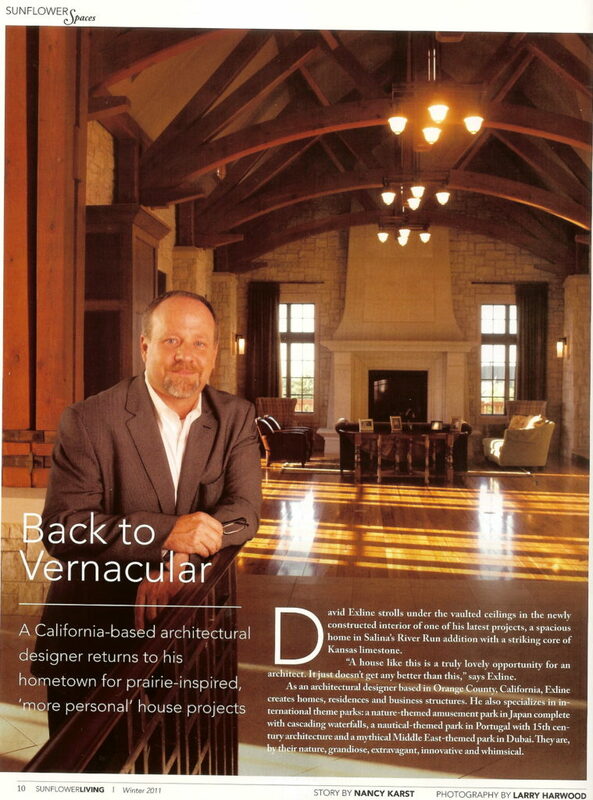 Project Architect: Mr. David E. Exline, AIA, NCARB, Exline Design & Architecture; Structural Engineering: Mr. Arno Rinas, P.E. 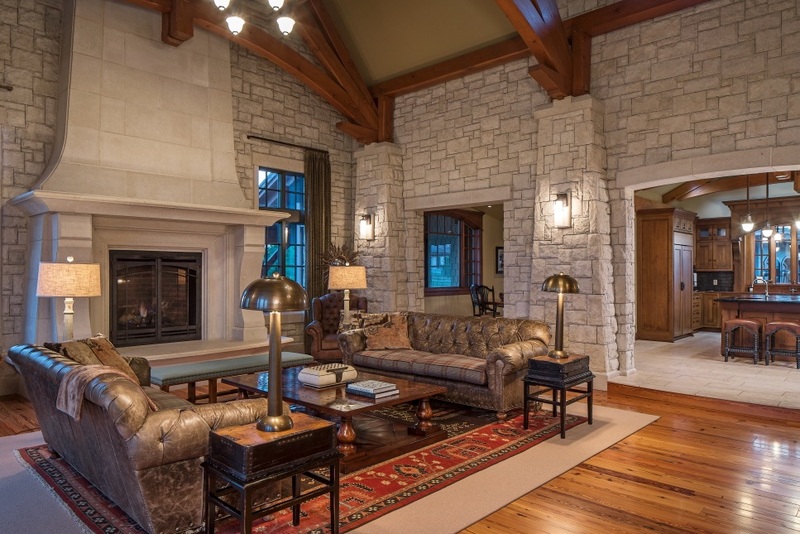 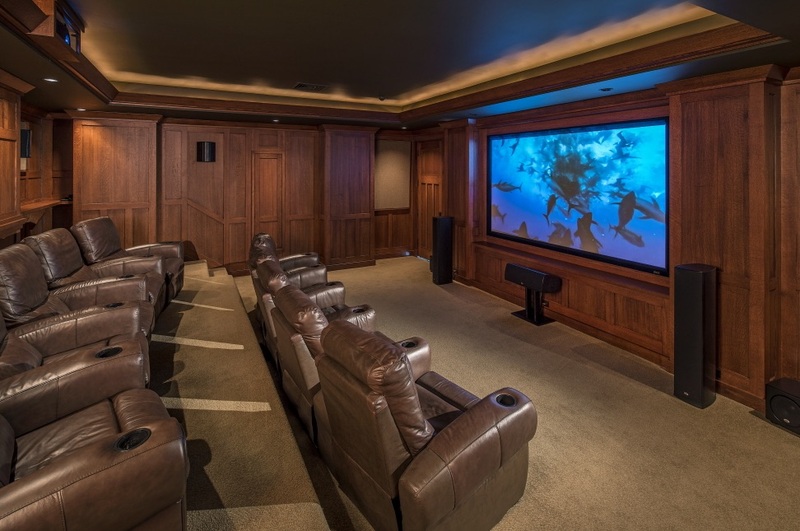 ; Interior Design: Ms. Kathleen Elsea; 3D Visualization: Mr. Mike Munson, Munson Studios; General Contractor: Mr. Bill Davis, Davis & Associates.